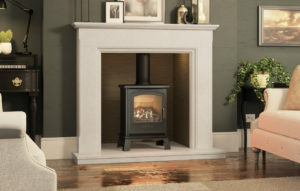 The Broseley Hereford 5 Gas Stove is the newest stove in the Broseley gas range. The style of the Broseley Hereford 5 Gas Stove makes it suitable for both modern and traditional settings. The Broseley Hereford 5 Gas Stove features an impressively large viewing window allowing you to take full advantage of the realistic flame pattern inside. 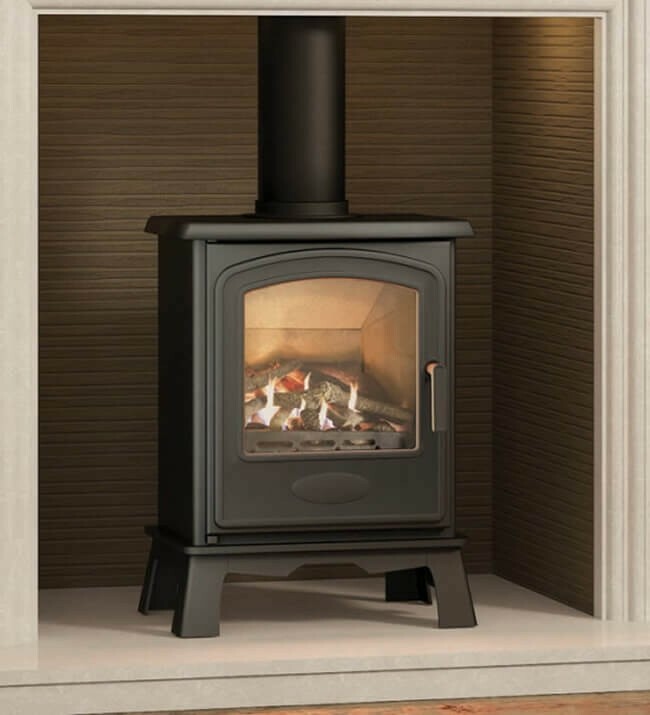 The body of the Broseley Hereford 5 Gas Stove is constructed from steel for excellent heat transfer while the cast iron stove door helps to retain the heat. As well as looking the part, the Hereford is also packed with impressive features. 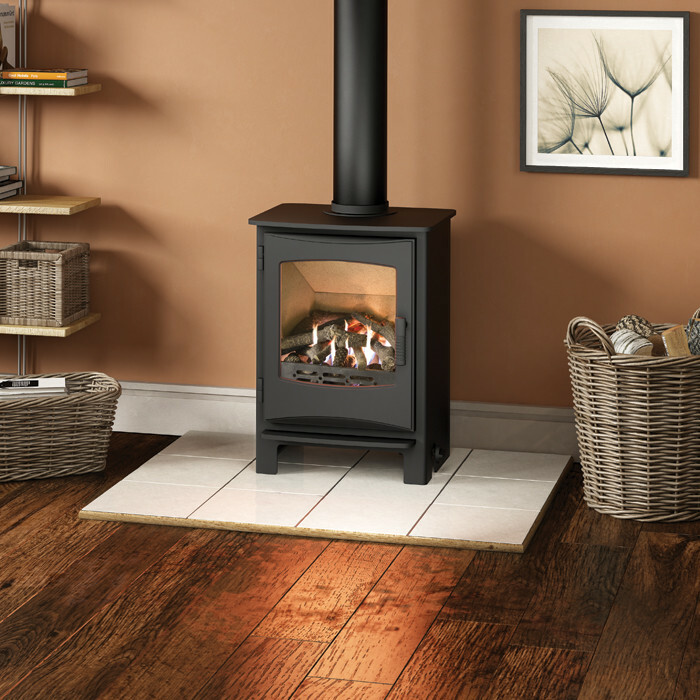 The stove will give you an impressive 4.6kW heat output which makes it suitable for most small – medium room sizes. 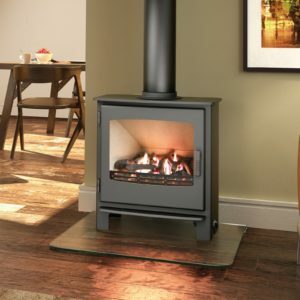 The compact size of the Broseley Hereford 5 Gas Stove guarantees that it will sit comfortably within a fireplace providing efficient and satisfying heat into your room. 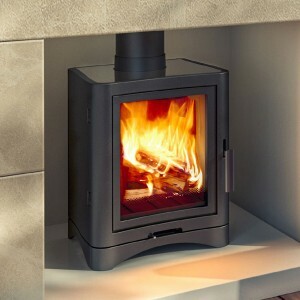 An optional remote control is available for complete convenience that controls both the pilot light and heat output. The Herford is manufactured in the UK to the highest possible standards to give you extra confidence. An oxygen depletion sensor comes as standard for added safety. 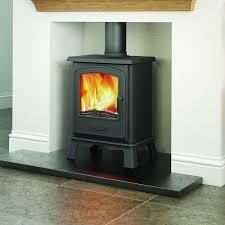 This conventional flue gas stove is suitable for both class 1 and class 2 chimneys.